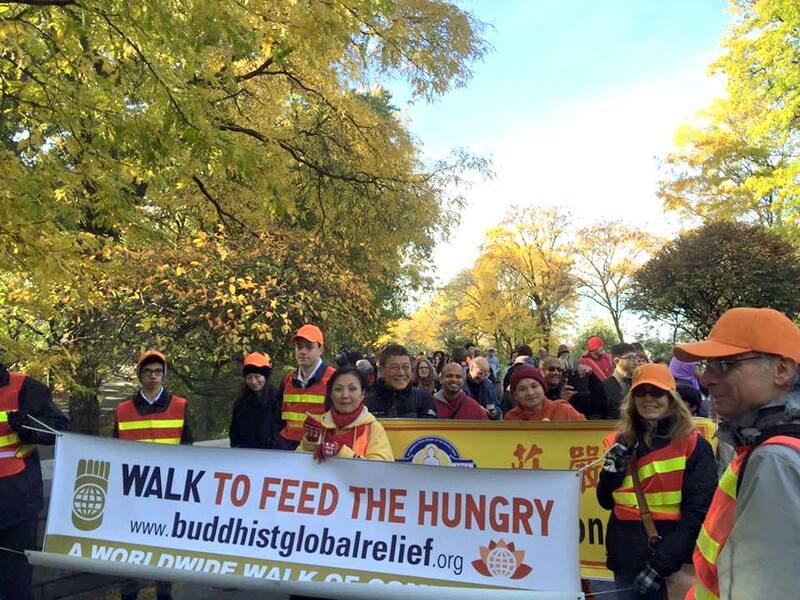 I just wanted to drop you a short note regarding last weekend’s “Walk Against Hunger” fundraiser at the Lao Lane Xang Buddhist Temple in Willington, CT in support of Buddhist Global Relief. This is the fourth year I have attended the Walk in Willington and each year I am more inspired than the last. It was so nice to see so many smiling faces joining in to support this wonderful cause. There must have been at least 60 participants this year. I saw many new faces. 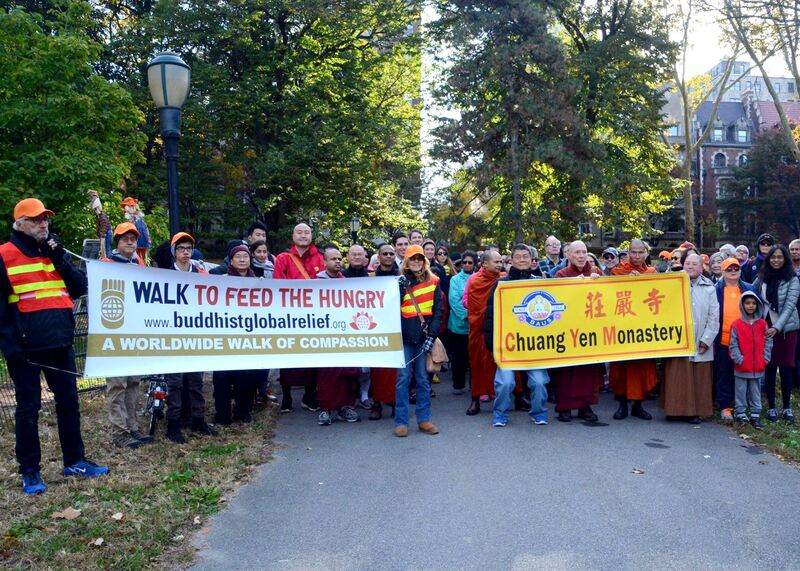 I even bumped into a couple of people from my home town who, unbeknownst to me, are supporters of Buddhist Global Relief and were participating in this year’s walk. What a pleasant surprise! 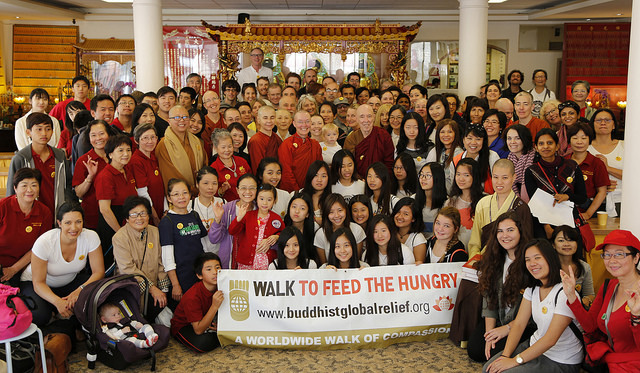 Last Saturday (Oct. 24) I led the BGR Walk to Feed the Hungry in San Francisco. The walk started out from the Gold Mountain Monastery in Chinatown and proceeded up a very steep hill, with a pause for photos in front of the Grace Cathedral. 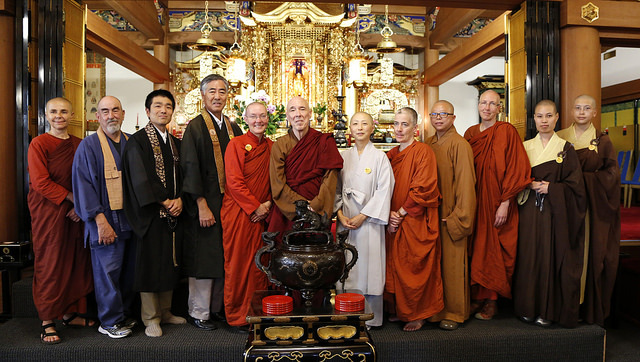 We made our first stop at the Buddhist Churches of America on Octavia Street. 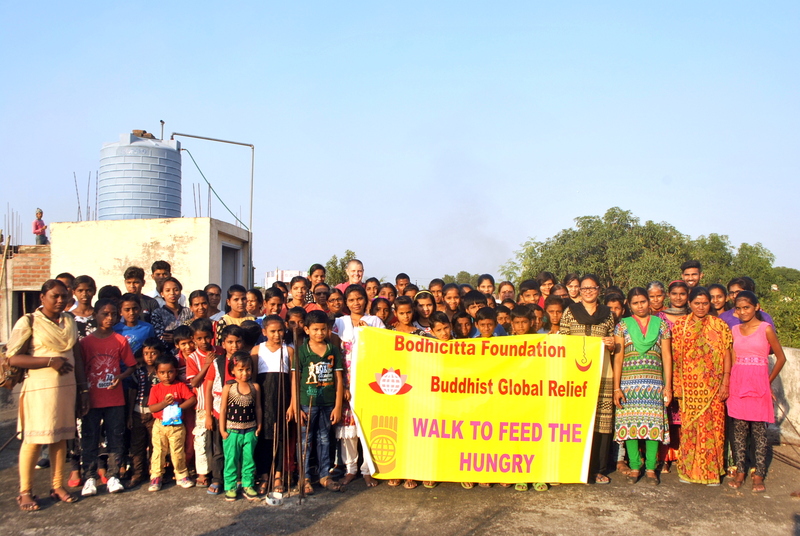 Here we were treated to refreshments and were brought up to the stupa on the roof to pay homage to the relics of Shakyamuni Buddha and the chief disciples Sariputta and Moggallana. 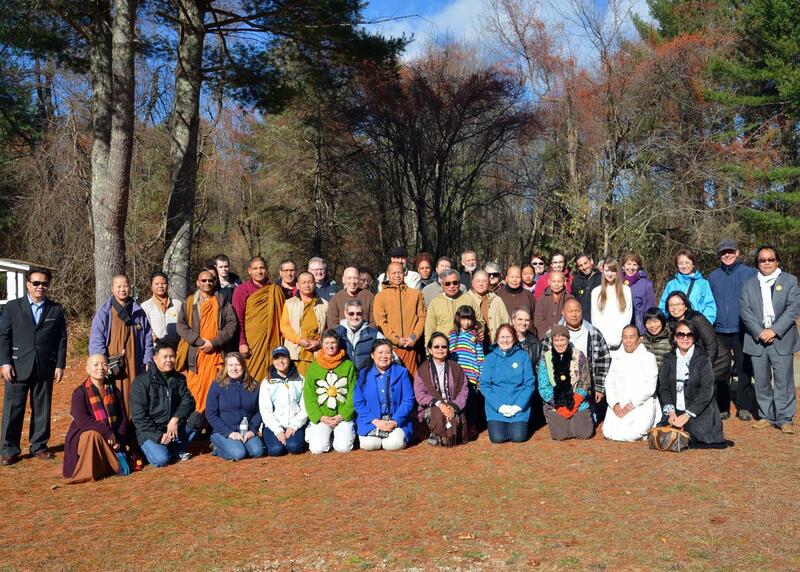 We also learned about the long history of BCA, the Buddhist organization with the longest continuous history in the US. 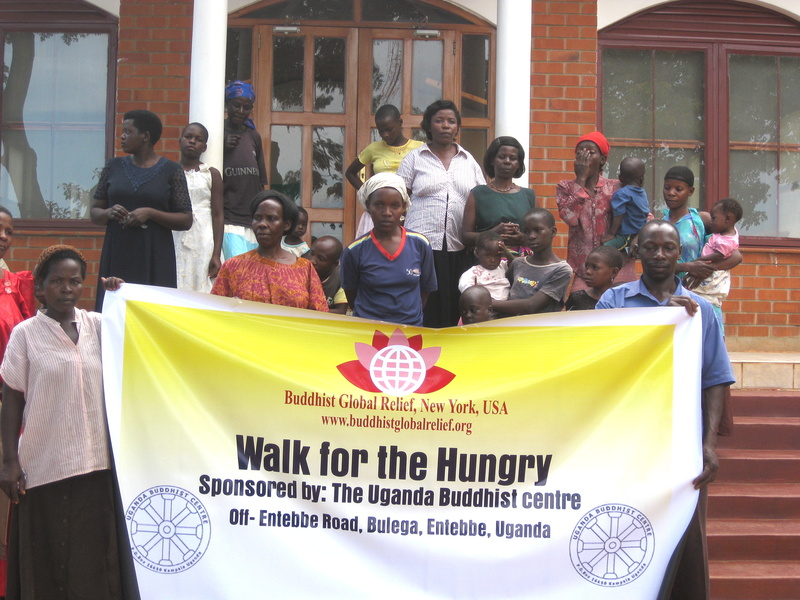 To join your noble effort, the Uganda Buddhist Centre sponsored the “Walk for the Hungry” yesterday. 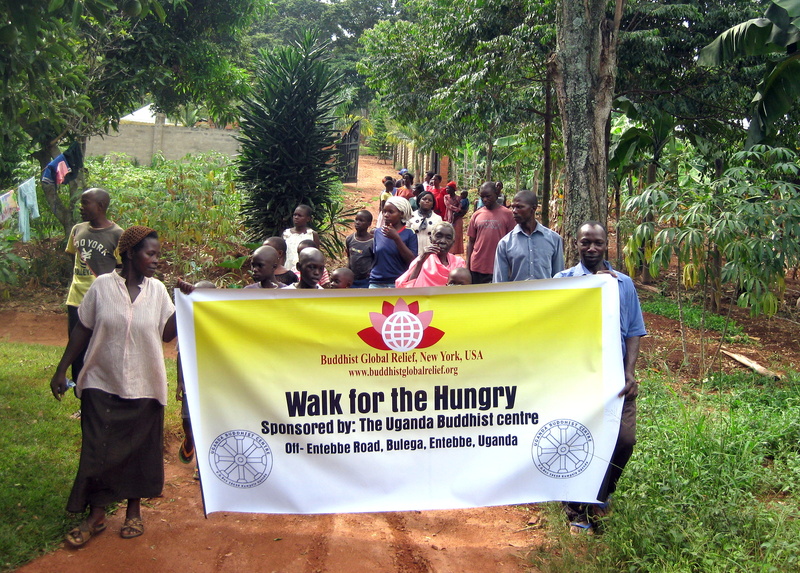 The walk started at the Uganda Buddhist Centre. Led by Ven. Dhammakami (a Buddhist nun, dressed in pink robes), it was our first walk of this nature. 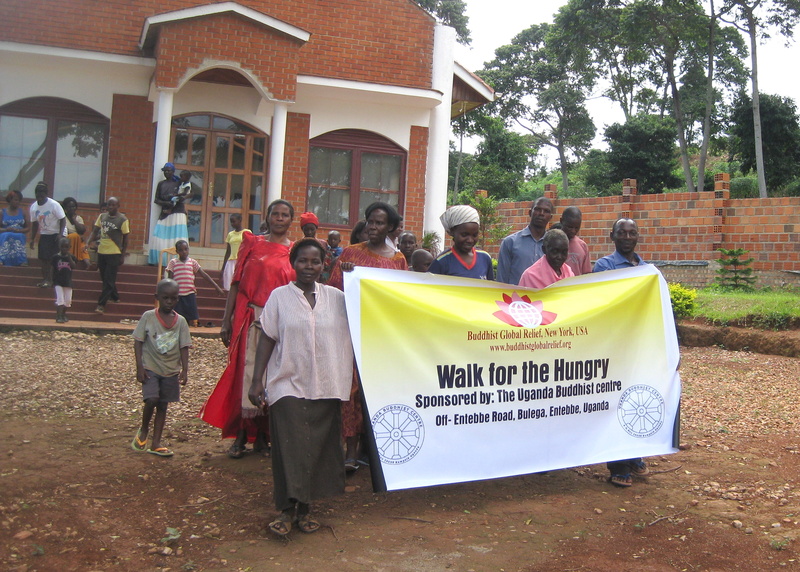 Because the people who participated in the walk are very poor, they did not raise any money. 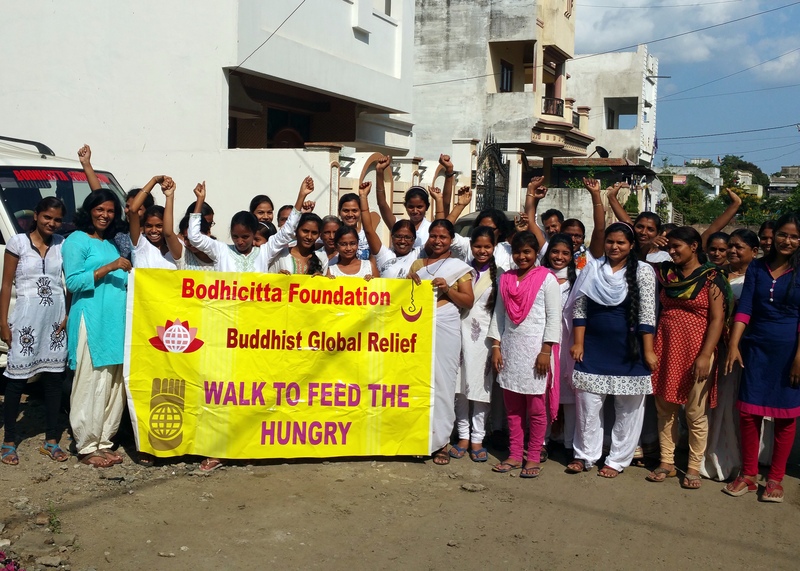 However, by their walk, they raised awareness of the work of Buddhist Global Relief. You will notice that I am not in the picture; this is because I am spending the rain retreat overseas.